Michaela: If you could spend the day with a book or movie character, who would it be? Would you visit in a far off land, at home, in another time? What would you talk about? What things would you have in common, and/or possibly disagree on? This was the hardest question you asked me. I had to save it for the end because I totally lack imagination and couldn't think of anyone except Bible characters, and I was thinking that wasn't what you intended. Once I posed the question to my girls the answers became so obvious and the ideas wouldn't stop flowing. 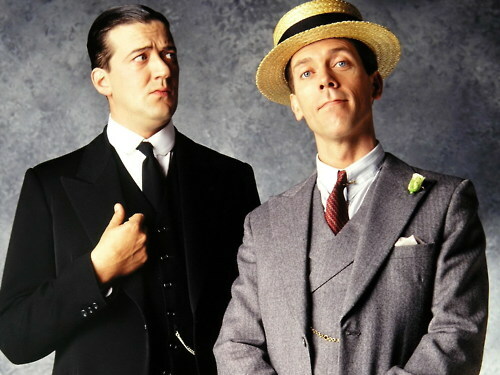 Well, I would have a blast spending some time with Jeeves and Bertie Wooster. They are always having so much fun! While Bertie is very frivolous and often silly, I love that he never thinks twice about taking every opportunity to enjoy life. There is not enough of that in this world. And Jeeves. Ha! He just cracks me up. I love his expressions. We quote them all the time in our house. I might pick Jeeves brain for some home management tips. He makes it all look so effortless. I love the way he brings elegance to everything but in a very simple and understated way. So has anyone seen the movie or "A Good Year"? Even though the movie takes place in France the whole look and feel of the place reminds me of Italy. 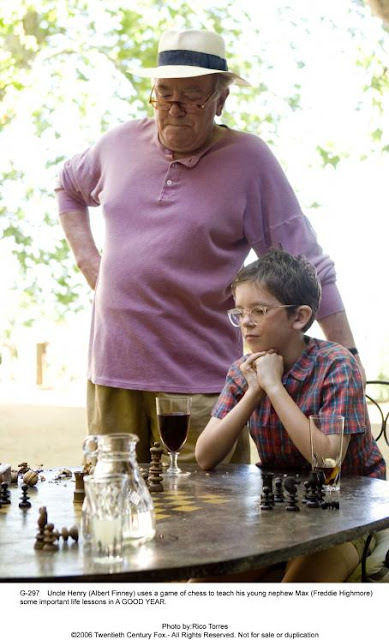 My family, on my father's side, owns a vineyard in Attel and I imagine it would be much like Uncle Henry's (played by Albert Finney). Likewise, I would delight in traveling the Italian country side with the cast of Letters to Juliet. It is just so beautiful and peaceful. I've never been to that part of Italy but it reminds me of the areas I visited several years ago. Okay, just one more. 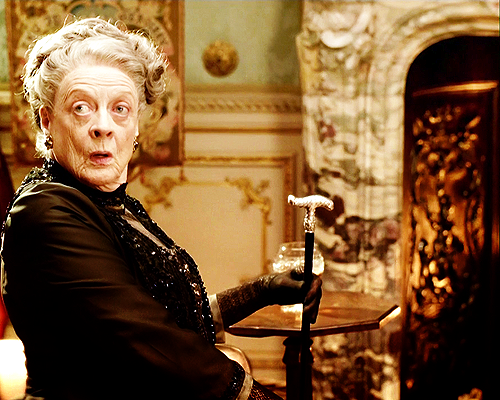 I LOVE the Dowager Countess, Maggie Smith, from Downton Abbey. First, let's face it, she oozes posh. What's not to love about that? Second, I love that she isn't worried about pleasing people or what anyone else thinks. Third, everything she says is so witty, in her droll little way. I also love the way she finds a place and an order to everything and doesn't want it upset, even if a pesky little war should happen along. Of course, on the other hand, she should probably be a little gentler, don't you think? Oh, reader dear. Who would you spend a day with and how would you spend it?